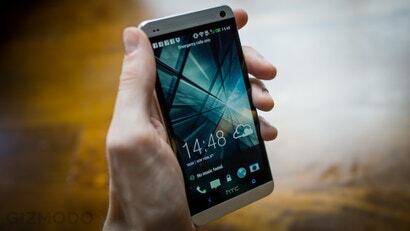 Is HTC Taking On The Galaxy Note With A Rumoured 6-Inch One Max? Just in case you thought there weren't enough monstrous phones on offer, rumour has it that HTC may be planning to roll out a 6-inch, 1080p version of its acclaimed One. Referred to as the One Max, Mobile Geeks reports that sources have revealed the phone could pack a 2.3GHz quad-core Snapdragon 800 chip, 2GB of RAM, up to 64GB of storage and a 3200mAh battery. If — and that's a pretty weighty if — the rumours are correct, it's tough to know what to expect from a monster One. Stylus support? Handwriting recognition? Who knows. The report suggests that the phone could be unveiled as soon as September though, so if it's accurate then there's not too long to wait. Also, it's worth noting that date would marry up with the expected launch date of Samsung's Galaxy Note 3.